At the end of the week, we resume everything that the cryptocommunity talked about over the past seven days. 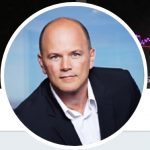 This week crypto optimists Mike Novogratz and Tim Draper made new crypto predictions, and also became known about the biggest cryptocurrency distribution oin histor and the person who could be hiding under the name Satoshi Nakamoto. According to CEO of Galaxy Digital investment company Mike Novogratz, in 2019 the bitcoin will demonstrate a new maximum, and in the opinion of the Bitcoin investor and supporter, Tim Draper, by 2022 the main digital currency will show a new rally and jump to $ 250,000. The cryptotrader John Nguyen drew the attention to the “Coinbase effect”. According to his estimates, this the largest cryptocurrency exchange could trigger a “bullish” trend of Bitcoin and other cryptocurrencies in the 4Q of 2018. Agustin Carstens, General Manager of the Bank for International Settlements, said that Bitcoin and cryptocurrencies generally have no economic value. He also noted that it is a mistake to call crypto assets the “currencies” in general. One of the leading Monero developers, Riccardo Spagni, attacked Ethereum with harsh criticism, saying that the second in the world (after Bitcoin) blockchain “contains fundamental flaws”, “built on a shaky ground” and “offers solutions to non-existent problems”. According to Jeff Garzik, one of the first Bitcoin developers, another early Bitcoin developer Dave Kleiman, was hiding under the name of Satoshi Nakamoto. Kleiman has died in 2013, and it can also explain the fact that 1148800 BTC in a personal wallet of Satoshi aren't mentioned since then. Light entertaining genres using dAPP (decentralized applications) have appeared in the crypto world. Among them is the game Axiom Zen's CryptoKitties, which allows you to trade virtual assets - cats. However, according to some people, such games can work like huge financial pyramids. According to ICO Drops resource, trading volumes fell on almost all platforms. For example, on the Binance Cryptocurrency Exchange, the total buy and sale of digital assets amounted to about $ 22.7 billion in October, having dropped by about 32% ($ 33.22 billion in September). OKEx, Huobi and Bitfinex cryptocurrency exchanges trading volumes fell by almost 50%, reaching $ 13.16, $ 10.14 and $ 7.81 billion, respectively. According to Blockchain.com, Bitcoin hashrate, which reached a record high in August, has stopped growing in recent months. In the futures markets, Bitcoin volatility in October was at its lowest. The bearish sentiment in the bitcoin market also dropped to a three-month low. According to a research conducted by Block Crypto authorities has confiscated 453,000 coins or 2.6% of the 17.366 million BTC in circulation, or approximately 1 out of 40. FINMA has recommended that banks and other financial institutions evaluate the risk coverage of cryptocurrencies at 800% of their current market value. This risk ratio is at the very top of the range for financial assets, and this suggests that FINMA considers cryptocurrency investments to be too volatile. According to the research by One Alpha, in the first three quarters of 2018, Israeli startups attracted more than $ 600 million. The Alpha survey of Israel involved 140 active blockchain companies that used various forms of financing, resulting in a total of $ 1.3 billion. that "more than 60% of companies and 88% of funds are related to ICO". Researchers from Northeastern University and the University of Maryland came to conclusion, that the majority of smart contracts launched on the network Ethereum use potentially vulnerable code. This is stated in a study of university specialists, the results of which are published in the report called "Analyzing Ethereum's Contract Topology". Cryptocurrency wallet Blockchain plans to carry out the largest distribution of cryptocurrencies in history in the amount of $ 125 million using the airdrop method. The company will distribute $ 125 million in Stellar lumens (XLM) - almost half a billion tokens to all Blockchain wallet holders. The Japanese bank First Bank of Toyama intends to launch, by October 2019, the First Bank Coin (FBC) stablecoin, which is secured by the Japanese yen in a 1: 1 ratio. The currency provides zero fees for payments and money transfers. Payments at FBC will be accepted at First Bank of Toyama. 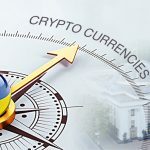 The international company Group-IB has compiled a new security rating for cryptocurrency exchanges. 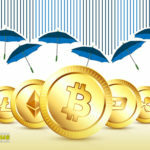 Kraken was recognized as the safest, while OKEx, Huobi Pro, Coincheck and several others were at the bottom of the list. Cryptocurrency exchange CEX.io launched a mandatory user identification. In a statement trading platform notes that the introduction of mandatory verification is necessary to increase the transparency and security of the cryptocurrency traders themselves. Binance Exchange, one of the largest cryptocurrency exchanges in the world, enters a research center for the preparation of analytical reports targeted at institutional investors. A number of major cryptocurrency exchanges, including Binance and Bittrex, unofficially excluded Iran from the list of supported countries after the United States imposed new sanctions against the Islamic Republic. Two major cryptocurrency exchanges, Coinbase and Binance, supported the upcoming hard fork in the Bitcoin Cash network, which is scheduled for November 15. Support of hard fork was announced by the Poloniex exchange. For the first time in the history of the elections in the United States, almost 140 voters from the state of West Virginia abroad are able to vote on an experimental blockchain platform. The pilot model, operating in 24 of the 44 counties in West Virginia, combines a smartphone, face recognition technology and blockchain technology. The American company Seagate in collaboration with IBM will create blockchain-based solutions to counter the supply of hard drives. The companies stated that Seagate drives will be registered on the IBM blockchain platform to prevent the use of fake products in IBM data centers, and in the future - to combat the spread of counterfeit. Thai authorities want to identify tax evaders using the blockchain. The country's revenue department announced the launch of a blockchain platform, which will allow officials to monitor the tax revenue process in real time and identify citizens and companies that are evading from their financial obligations. The central theme of the World Economic Forum (WEF), which will be held from 22 to 25 January 2019 in Davos, Switzerland, will be "the interaction of states and individual players in the period of active development of new technologies, such as the blockchain, cryptocurrency, and others." The US Securities and Exchange Commission (SEC) accused EtherDelta for unregistered crypto exchange. In the future, SEC intends to publish recommendations for cryptocurrency developers. The guide will help developers determine for themselves whether their tokens can be classified as securities or not. In April 2019 in Saudi Arabia, the ICO of the “first Islamic cryptocurrency” Noorcoin will launch. According to the initiators of this project, Noorcoin will be the first cryptocurrency token corresponding to the norms of Sharia. Venezuela will present Petro as a settlement unit for the sale of crude oil to OPEC in 2019. The Venezuelan authorities have launched a plan that will allow citizens to invest in a new state-owned cryptocurrency, supposedly backed by oil, and “save with a certificate.” Meanwhile, Petro is gradually penetrating the daily life of the citizens of the country. 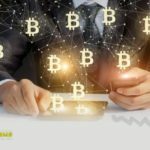 Cryptocurrency began to appear on the screens of computers of customers of local banks when entering accounts. The People’s Bank of China (PBoC) is firmly tackling the airdrop now. In its report on financial stability for 2018 dated November 2, PBoC stated that the “disguised” ICOs, which distribute free tokens using the airdrop method, are flourishing despite previous measures to ban the sale of tokens. China's central bank says it intends to carefully pursue its ICO prohibition policy and bring other agencies into training that would help it monitor the crypto industry and protect investors. Bitmain, the Chinese mining giant, announced the launch of two new ASIC Antminers equipped with 7-nm chips. Hong Kong cryptocurrency platform BTCC announced the closure of its own mining pool. All servers of the company will suspend operation indefinitely by November 30, 2018. Thus, the four-year work of the mining pool specializing in the mining of bitcoins will be completed. Northern Bitcoin opened a mining farm in Norway inside a former metallurgical mine called Lefdal. The company claims that it helped it significantly reduce the energy costs for mining Bitcoin. Co-founder of Google and its current CEO, besides working in the world's largest search engine, combines something more. It turned out that the sons of Sergey Brin and Sundar Pichai are engaged in the mining of the ether. Law enforcement officers of the Moscow region accidentally found a large mining farm in the basement of a residential building in Balashikha. Now all machines are sealed and under investigation. Early Bitcoin entrepreneur Charlie Schrem denies accusing himself of hiding 5,000 Bitcoins with Tyler and Cameron Winklevoss. In a document filed on Monday in the US District Court for the Southern District of New York, Shrem called the Winklevoss brothers' statement about the theft of 5,000 bitcoins "absolutely wrong" and also opposed freezing their assets. New York District Judge Jed Rakoff ruled to freeze assets. Turkish law enforcement authorities detained a group of hackers (11 people), who are suspected of breaking into cryptocurrency wallets and stealing bitcoins. According to the National Police Department, all the detainees were involved in the theft of $ 80,000 in Bitcoins. Well-known Hong Kong commentator and analyst of the stock market Raymond Yuen was accused of complicity in a fraud cryptocurrency scheme. On November 4, deceived investors, together with representatives of the Democratic Party of Hong Kong, held a press conference: they said they lost 3.2 million Hong Kong dollars as part of investment schemes. Unknown hacks the official account of Pathé, one of the largest film studios in the world, to advertise a fake “distribution of bitcoins”. The South Korean cryptocurrency startup Pure Bit allegedly carried out exit scam, stealing 13,000 ETH. © 2018 bit.news | queries 231, for 0.455 sec.